LEGAL FOR LEGAL–that’s our edge. 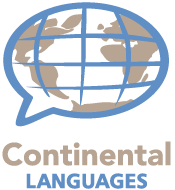 Continental Languages, LLC, is owned and operated by an attorney. Our advantage is that we know the importance of securing a linguist whose experience and proficiency will guide them in interpreting exactly what your client is communicating. Our principal, Danette Garza, JD, MBA, CPA, recognizes and understands the industry from a client’s point of view, and she implements that knowledge and philosophy in directing the company. On site interpreting (consecutive and simultaneous), over-the-phone interpreting (OPI), video remote interpreting (VRI) for your: arbitrations, depositions, hearings, trials, preps, consultations.